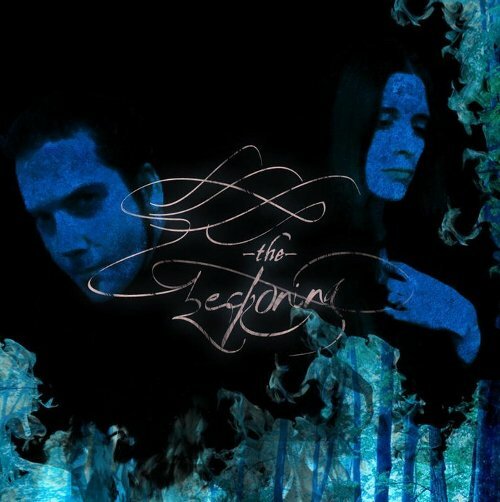 The Beckoning is a melodic gothic/doom metal band from Canada. Consisting of duo Roy and Meghann Turple. A couple in a metal band, we do not see very often, the best known band maybe is Skillet [John and Korey Cooper]. Let’s talk with Meghann and Roy. TMR: Heey guys how are things going there in Canada? Things are fine,but like most of North America,the economy here in Eastern Canada is suffering a little. Roy Turple – drums and lead vocals, Meghann Turple – keyboards, piano and vocals, Eldon Loewen – guitar and bass. Meghann and I (Roy) have been happily married for 13 years.We have been involved in music to some degree for about 20 years now,but it has only been the last few years we started combining our efforts and making music together. We released a demo last year entitled “Bloodlet” and it actually did pretty good for us in the underground. We scored a lot of radioplay through that demo and landed on four different compilations,and the song “Bloodlet” was # 1 at Stereokiller.com for the month of December 2010. Just recently we released our first full-length. For the demo and the full-length we did not have a permanent guitar or bass player, but we just recently brought on a permanent guitarist/bassist named Eldon Loewen who has been a friend of ours for years. We’re really excited about him joining the band. TMR: Are you full time musician? If not what kind of job or school do you do beside the band ? No,we don’t do music full time. For years, I was a fabricator working in the lighting and electrical industry, but I am also a licensed nursing assistant. Meghann stays at home and takes care of our four amazing kids, and Eldon is a licensed contractor. TMR: Is this your first band ? No, me and Eldon have been in several, as well as one that we were in together years ago called “Reverence”. Meghann has been involved in several musical productions and worship teams and such, but this his her first Metal band. TMR: Why the name ‘The Beckoning’? Is there a story behind it ? We had several names in the beginning, but they were all taken. In our song “An Omen In The Dark” there is a lyric that says “Beckoning to wisdom, condemnation laid to rest” and we just kind of figured THE BECKONING that works! Unfortanately we quickly realised there are several other bands out there with that name as well lol! TMR: Who writes the music/lyrics in ‘The Beckoning’? .. how do you get in the mood for writing music ? And which bands/situations have influences you for writing music and lyrics ? Meghann writes the foundation of each song on the keyboards or piano, I (Roy) take those melodies and structure them,c ome up with the composition of the song,along with the drums,vocal arrangements, and basic guitar ideas. I (Roy) write all the lyrics. I usually get in the mood for lyrics late at night when everyone else is in bed and I sit down with the music that Meghann and I have already composed with the keys and drums, and I try to think of what the music is really saying to me, and basically whatever it inspires me to write about. Meghann’s musical ideas are very influenced by Saviour Machine and filmscore music, where as I like more Rock and straight ahead Metal. I’m much more of a fan of simple music with a good hook, rather than over-the-top technical stuff. The lyrical writing style is influenced by writers who have a cutting-yet poetic style.One that is poetic,but doesn’t simply leave everyone confused about what they’re talking about, Eric Clayton comes to mind.I also read a lot of stuff from puritin/post reformation era writers and theologians and that influences my writing a bit. TMR: How do you describe the music of ‘The Beckoning’ the best ? ”Majestic Gothic Metal” is our catch phrase, but that can mean different things to different people I guess:) The thing with “The Beckoning” is that we have a lot of different sides to us. It’s because of that unwillingness to settle in to a particular style that I would say we’re very “Avantgarde”. But ultimately we mix, Goth, Doom, Melodic Death Metal, with a little filmscore and simple Pop hooks. If you can imagine that you might have a good idea of the sound. TMR: How does ‘The Beckoning’ stands in life till events in the world, religion and politics and in which proportion stands that till your music and lyrics ? We believe whole-heartedly that the Bible is inerrant and that it is truly the Word Of God. We approach everything in life through this worldview, and “The Beckoning” is certainly no exception. TMR: For a lot of bands the lyrics are just a accidental circumstance, but for some bands they use them to communicate ! ..can you tell us how that is for ‘The Beckoning’? It’s sort of a combination of both for us. We have a real passion to reach out to people who haven’t trusted in Christ, but at the same time we realize that we are powerless to make any difference on our own strength. We make our music with the intent to bring glory to God and try to conduct ourselves in an appropriate manner and leave the rest to God.We would hope that people would see “The Beckoning” as something genuine and hopefully find the lyrics of the band compelling, and perhaps,they would take a greater interest in The Gospel as a result. The Bible says to always be ready to give an account to those who inquie about the hope you have within you,but to do so in a gentle and respectful manner. (1 Peter 3:15) That is essentially our ministry philosophy in life, and with this band. TMR: Is there a message you want to bring with ‘The Beckoning’? Ultimately, it’s the validity of The Gospel and the impact Jesus has made in our lives. TMR: Is there a highlight you will always remember, since the beginning of ‘The Beckoning’? We did a little home-made video for our song “Withered” that was done as a tibute to our persecuted brothers and sisters in the underground Church worldwide. Seeing that get done and seeing it make an impact on people, that was probably the biggest moment. [The video can been seen below]. When myspace cut off access to our 22000 “friends” about 4 months before the realease of the album.We were really looking forward to notifying the people on our myspace list of when the album would be released. TMR: Do you perform live ? Name some of your favorite bands to play with live [past and future] and tell us why ? At this point we’re only a studio band. Roy and Meg Know the Word Of God and obey it. 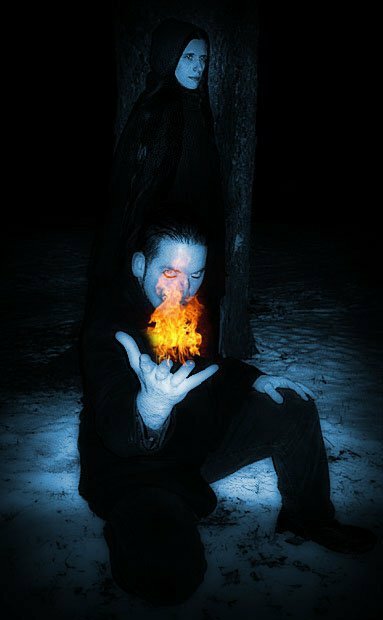 Roy Not doing muh gigging, but I’ve been listening to a lot of Agalloch lately. There isn’t much of one. Bands that exist only play live every three or four months and rarely think of it beyond a mere hobby. Most bands record a cheap demo and break-up after a year or two. The ones that are serious about it end up moving to Montreal, which has an incredible scene. As a matter of fact, the guy who play the guitars on most of our full-length, his band got signed to Relapse Records and he moved to Montreal. If it’s illegal, it’s wrong, period. Canada has almost no laws regarding downloading, and it almost becomes confusing as to what the laws are here regarding downloading movies and things like that, but music is perfectly legal to download. I guess if a person lives in a country where it is not forbidden they have the right to make up their own mind on the issue, but if everyone is downloading everything without paying for it then it makes it really difficult for bands to continue making music. 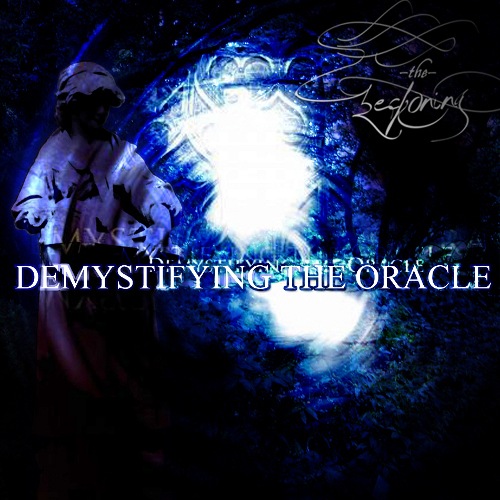 TMR: What can you tel us about your latest release and full lenght album ‘Demystifying The Oracle’? Such as the recording-proces / the songs / label / release date? We recorded the album over a nearly 2-year period, from October 2009 – August 2011, it was released independantly on August 19th 2011. [More information]. TMR: And what about the [near] future, any plans ? We ‘re really excited to have Eldon on guitar and bass now as a permanent third member.His first appearance with the band will be on our version of the classic Christmas Carrol “What Child Is This?” which should be released sometime by early December 2011. God willing, we would like to have an ep released in 2012 with him playing on it. We will see how God works everything out. Thanks for the interview! Be blessed! A homemade videoclip for the song “Withered” by the Christian Gothic Metal band The Beckoning. The song and video are meant as a tribute to the persecuted Church worldwide.